The five of us good friends from high school have had many fond memories over the years. Such as the use of William Carlos Williams’ “Red Wheelbarrow” in calculus class to dislodge my fingers from holding onto the top of the cliffs of insanity, thus preventing me from ever having a hope of being normal. This picture was taken around the time I graduated from university. 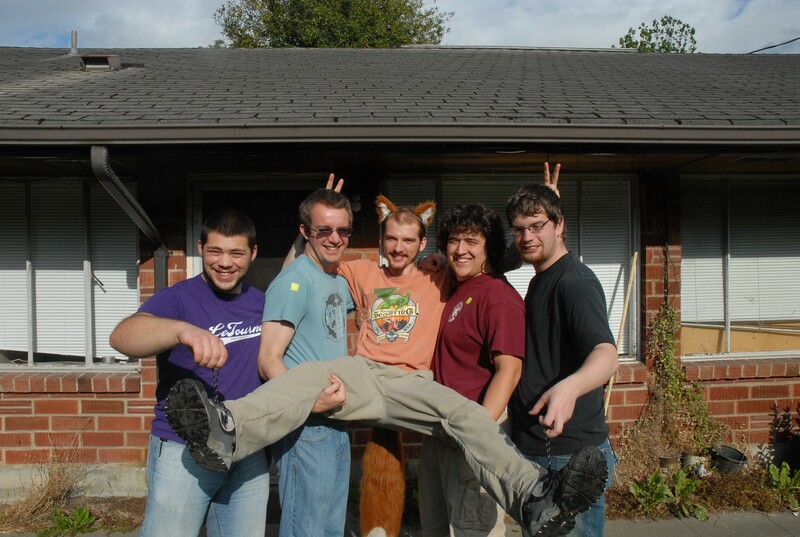 From left to right: Ryan, Spenser, me, Brett, and Nathan. A friend took this picture using my camera.